From rolling hills into the limestone mountains of the Sierra de Grazalema Nature Park, and to the beautiful mountain view hotel in Zahara de la Sierra. Choose 2 or 3 days on horseback, plus an optional day trip to the famous white town of Ronda! Amazing surroundings with endless views only a few kms from one the most famous white villages, Arcos de la Frontera. 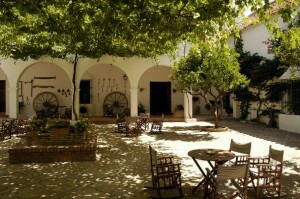 2,5 days horsetrekking without changing your hotel and a visit with tapas to the old centre of Arcos. Find the full description/Prices/dates -> here! 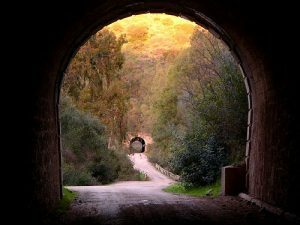 This trail adventure will surprise you with tunnels and bridges in the stunning anda lusian mountainside, home of vultures and background for some precious White Villages like Olvera, where we are heading for.